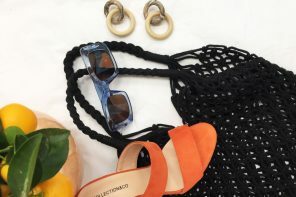 September always sees London become home to Fashion Week, where every designer showcases their looks for the next season and defines the direction of the high street. This year, we have been graced with the return of Winnie Harlow on Julien MacDonald’s spring collection, spellbound by the Cirque de Soleil-inspired show by Tommy Hilfiger, and seen a whole new interpretation on domestication thanks to Christopher Kane. 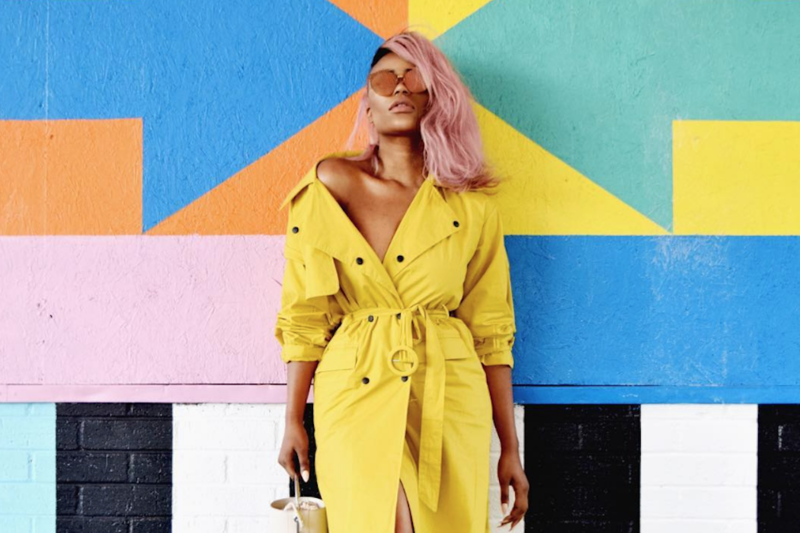 Aside from the shows, the streets are always filled with style inspiration, influencers, and fashion enthusiasts alike shooting their latest looks. 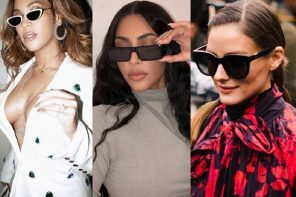 As we know, no look is complete without ideal eyewear, so we’ve selected our top 5 favourite eyewear looks from this year’s London Fashion Week. Juliette is one for making her show-stopping style appear so effortless, and London Fashion Week saw no exception. Here, she wears a figure accentuating gold embroidery dress, pairing it with a silk Minnanhui trench coat and matte frames. By selecting these rounded frames, not only do these glasses compliment her face space perfectly, but they make a statement with their oversized and sleek finish. 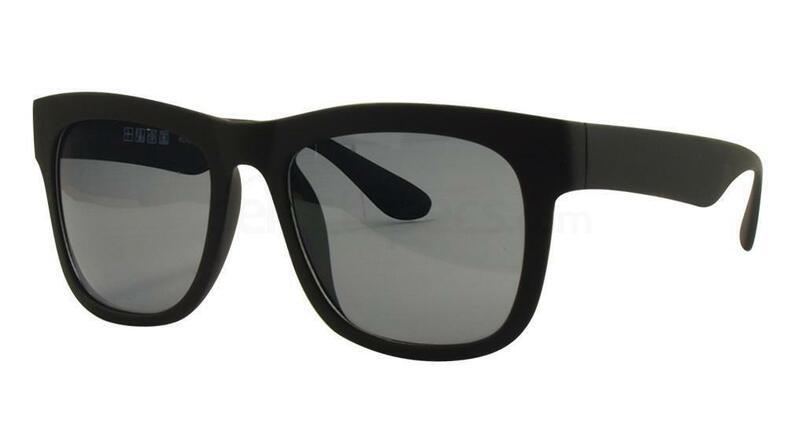 An oversized pair of specs with black matte finish is the perfect way to embrace this style. These Savannah specs not only provide statement arms, but come in an array of different lens colours to compliment your eyewear with the rest of your look. Stepping out onto the streets of London in this season’s newest Temperley dress, Victoria compliments this season-transitional piece with some classic Dior boots, and tortoise shell aviators. In the same fashion as her dress, the tortoise shell finish ensures that this eyewear look is ready to wear, come rain or shine. 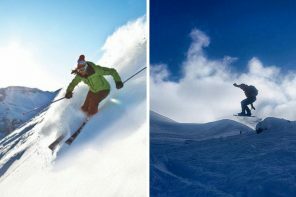 For those who enjoy subtitles in their eyewear, finding something with on-trend detailing is easier than you may think. 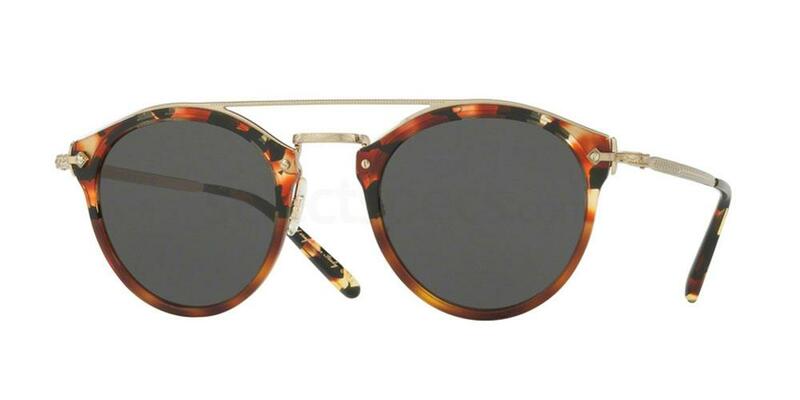 These Oliver People glasses embrace the re-emerging animal print trend, whilst still providing a throw-back to summer with their rounded finish. Beauty is certainly in the details, with an extended wing frame front, light temples and contrasting gold arms. If you’re going to hit London Fashion Week, make sure you bring your bestie too! Rosa and Maja both opted to sport independent high street brands. Rosa wore a stand-out Ela London star detailed dress, where Maja chose a dainty star print from this Lulus tea dress. To compliment their star theme, the duo have opted for oversized aviators. Simple in design, this eyewear provides a statement with slim frames and a gold finish. For such a staple look, it seems logical to stick with a renowned brand such as Ray Ban. 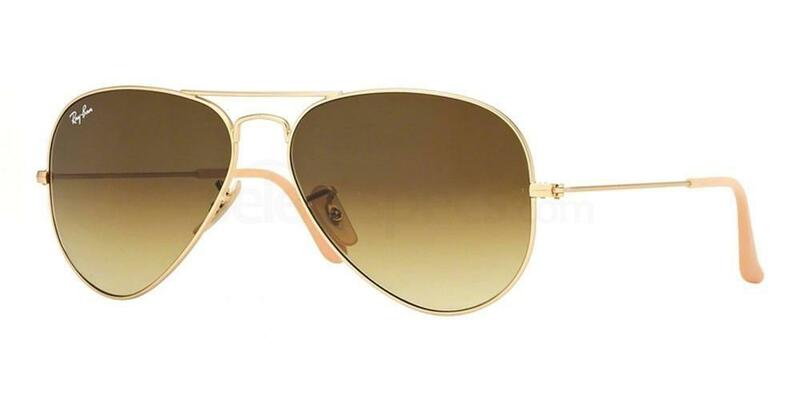 These gold tinted aviators come with all the classic features, such as oversized frames, thin and contrasting arms, and light temples. For those who know Katie, you will know that she is all over the futuristic look right now. The most iconic look she featured across London Fashion Week was a Milly silver puffa jacket and braids. However, she’s also incorporated a little bit of the future into her vintage style too. By pairing extreme cat eye frames with this frilly Roseville denim dress, she takes this look from every day to Fashion Week ready. Adding a touch of futurism to your style is a little simpler than you think. 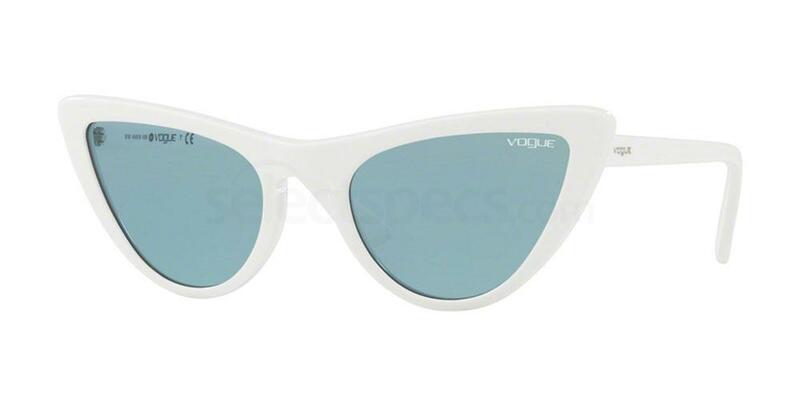 These blue tinted cat eye glasses by Vogue do just that, whilst bringing sophistication to an everyday look. The contrasting chunky white frames and oversized shape ensure that these provide a stand alone statement, whilst staying feminine.